Awhile ago, I wrote an article specifically for ministry families about how to help their children in ministry. This week, I am writing to the church with ideas for how to help the minister and his family succeed in ministry. My family has truly been blessed by the people in the churches where we have served. As I write today, I have several people in mind who have blessed our family in amazing ways. In fact, the ideas I am sharing today are all ways that we have been treated by wonderful families at wonderful churches in Indiana, Ohio, and Michigan. However, not everyone in ministry has been so blessed. I often hear horror stories of unrealistic expectations and pressures placed on the minister and his family . . . stories that make me even more thankful for the people who have been a part of our lives. I firmly believe that in order for a minister to have a successful ministry to his church, he must first have a successful ministry to his family and, unfortunately, the demands of ministry can often make this very difficult. Therefore, I would like to share 10 ways that you can help your minister and his family. 1. Don’t expect their kids to be perfect. Take off the pressure! The call to ministry belongs to their parents, not to them. They are simply kids, and, because of this, they are going to act like kids. Give them that freedom. Don’t expect them to always be the leaders in class, to always sit perfectly still during the sermon, to always sing all the songs with gusto . . . you get the idea. 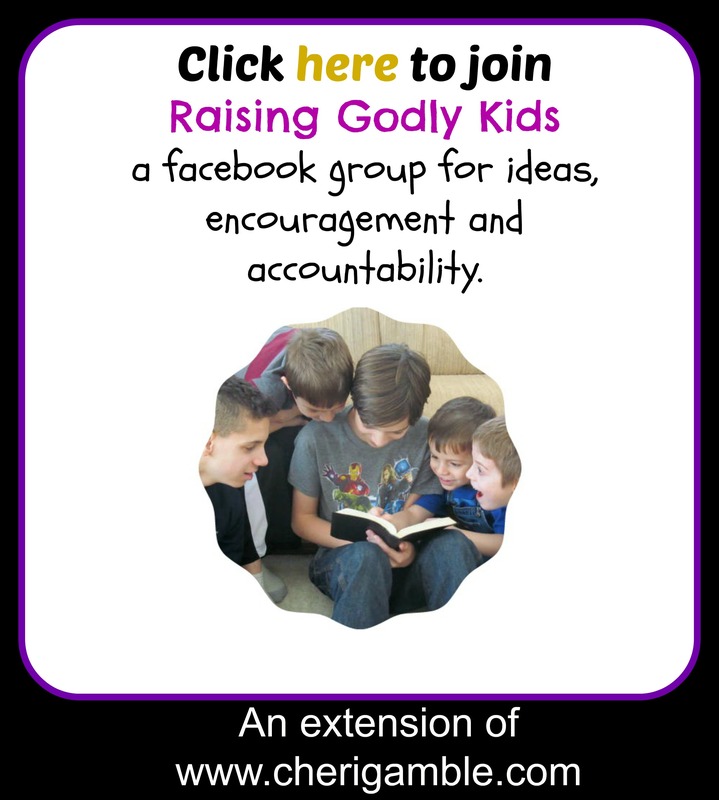 Let them be kids – just like all the other kids at your church. 3. Don’t expect their kids to be at every church activity. With the wide variety of activities available in the church today, it can become overwhelming for kids. Imagine if you were told you had to be at every single event your church offered . . . would you want to be there all the time? Wouldn’t you begin to feel that the only thing in your life was church? Even more dangerous, you could begin to feel that Christianity was all about church attendance – which it is not. Christianity is about a relationship with Jesus Christ, and sometimes forced attendance at all church events can get in the way of that for kids. It’s okay if your minister’s kids aren’t at all the events! 4. Do be patient with their kids’ behavior on Sunday mornings. Sundays can be a very stressful day for a minister’s family. Often, the minister arrives at church earlier than the rest of the family, leaving the wife to get everyone ready and to church on time by herself. Think about the chaos that occurs in your own family on Sunday mornings and then imagine doing that with only one parent with the added expectations that you are always on time, dressed up, smiling, greeting everyone, and maintaining perfect behavior through both Sunday School and the worship service. That’s hard for an adult to accomplish – imagine how much harder it is for a 5 year old child! So if your minister’s child doesn’t have matching clothes on, if his shoes are on the wrong feet, or if he doesn’t want to shake your hand and hold a conversation with you, be patient. Let him be a kid! 6. Do offer to babysit for free. Many times, ministry families have moved away from extended family in order to serve the Lord in the ministry where they have been called. They do not have family nearby to help with babysitting needs. Also, many times ministry families have to watch their budgets very closely and paying for babysitting is not a priority. We have been blessed so much by families who have stepped up and offered to babysit our kids so that we could have a night out together. This is perhaps one of the biggest ways you can bless your minister and his family! 7. Don’t infringe on family time. Let the minister and his family have time to themselves. If you know it is their dinner hour, wait before calling. If they are on vacation, try to wait until they get back to contact them about issues that may come up. Let them have uninterrupted time with their families. 8. Do go to their special events to support their kids. A minister often attends many events for the youth in their ministry. Our family has attended 5k races, baseball games, football games, gymnastic meets, dance recitals . . . all of these to support youth in our ministries, yet, I can not begin to tell you how much it has meant to our own kids when people from our church have come to their events. It helps the kids feel special, and it also helps you build a relationship with the minister and his family. Nothing says you care more than supporting your minister as he watches his kid play in a baseball game where he is losing 20-0 (true story, but to save embarrassment for my poor ballplayer, I won’t go into anymore details). 9. Don’t judge their decisions about parenting. The minister may discipline differently than you do, he may educate differently than you do, he may deal with issues that come up differently than you do, but they are his kids and he knows them better than you do. With God’s grace, he is parenting the best he can. Please serve as an encourager, not a judge. 10. Do laugh with them. Kids do funny things. When your minister’s kids do something funny, it’s okay to laugh. Yesterday was Youth Sunday at our church. My husband drew a letter out and asked the congregation to name something that they were thankful for that started with that letter. The letter was “F” and my 11 year old immediately yelled out “Fiber”. I am so thankful for a church that laughed! My kids can be themselves . . . they can simply be kids . . . all because I have a church family that accepts us, loves us, and laughs along with us. Try to be that type of church for your minister and his family and you will be helping your minister have a successful ministry.